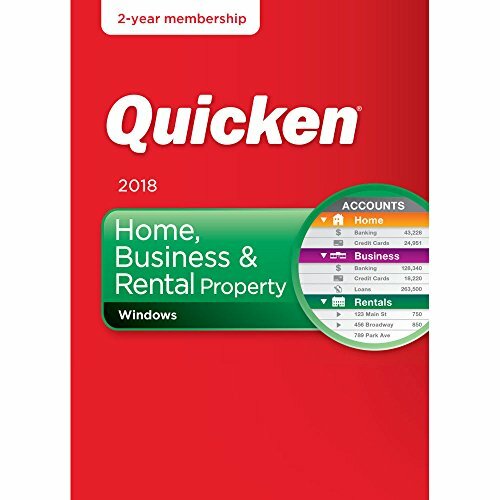 Quicken organizes your personal, business & rental property finances all in one place. Securely imports your bank transactions. Categorizes your personal and business expenses. Shows your profit and loss at a glance so you know how your business is doing. Identifies tax-deductible business expenses to maximize tax deductions. Creates Schedule C reports to simplify taxes. Organize and save your rental documents (contracts, leases, etc..) directly in Quicken. Create custom invoices with your logo, colors, and weblinks. Pay your bills in Quicken for free with Quicken Bill Pay. Unlimited priority access to official Quicken phone support.